Another day, another bomb for our favorite home-run hitter at the current time in baseball. It’s hard to tell sometimes on television when someone hits a monster shot to centerfield. When you watch this, like when Stanton really gets into one in center; you’ll instantly know it’s something different. It was measured at 445 feet. It was his fourth of the season. 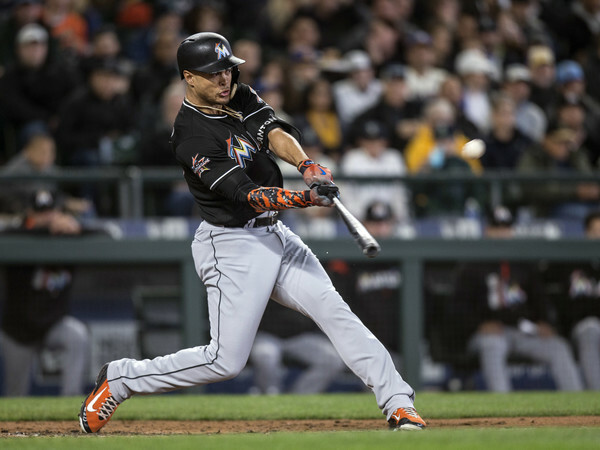 Stanton was on base five times in the loss going 3 for 3 with two walks. The most special moment in this game of course belonged to Ichiro Suzuki, who homered in what was in his final at bat at Safeco Field in front of the fans he called his own for so long. This is why baseball is so special. How the Hell does this happen? That’s Hall of Fame type stuff. Oh yeah, the Mariners won the game 10-5 with ease.